Admittedly mushrooms aren’t the first thing I think of when I think ‘coffee’. Taking the idea from ancient Chinese medicine though, Organo Gold seek to fuse together coffee beverages and health products with the Ganoderma mushroom. Mushrooms and MLM…? Not the likliest pairing but nonetheless a pairing that Organo Gold have hinged their entire product line on. Read on for a full review of the Organo Gold business opportunity. Organo Gold was launched in 2008 by Bernado ‘Bernie’ Chua (photo right) and Shane Morand. 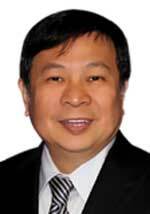 Chua serves as the CEO of the company and seems to have cut his MLM teeth in the Philipines before launching Organo Gold in the US. Shane Morand on the other hand is credited as ‘Global Master Distributor’ for the company and has been involved with coffee MLM’s in the US since 2004. Morand’s prior company I believe was called ‘Gano Excel’. 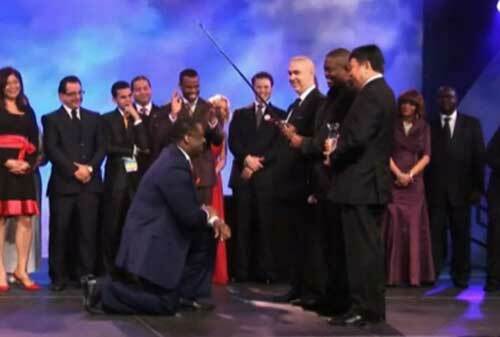 That’s Bernie Chua, Shane Morand and Vice President of Sales Holton Buggs apparently knighting someone on stage. I’ve got no idea what that’s about but it does look slightly cultish. Obviously a strong memberbase is important but I kind of get the sense Organo Gold might be overdoing it a bit in this department. Something perhaps for prospective members to keep in mind. Where Ancient China meets modern science. The above is pretty much the backbone behind the philosophy of Organo Gold’s product line and primarily the company makes use of the mushroom Ganoderma (photo right). Ganoderma is a genus of polypore mushrooms which grow on wood and include about 80 species, many from tropical regions. The medical benefits allegedly associated with Ganoderma are quite extensive, ranging from anti-cancer, anti-viral, anti-bacterial properties to reducing blood cholesterol amongst other benefits. Organo Gold markets Ganoderma infused gourmet coffee, hot chocolate, green tea, soap, toothpaste (mushroom toothpaste? eeew), spore powder and grapeseed oil extract. I have noted some concerns regarding ‘sodium alluminosillicate’ being present in Organo Gold’s coffee range, but it appears to be already used ‘widely used as a food additive‘, primarily as an anti-caking agent. People seem to be latching on to the aluminium component of the name and equating this to a serious health concern, despite the naturally occurring mineral having no known side effects… personally the use of sodium alluminosillicate in Organo Gold’s products wouldn’t worry me. The Organo Gold compensation plan makes use of a Binary setup in the front end paying out on pure sales volume from month to month, with a unilevel backend providing you with a residual income based on those you bring into the business. Along with this the company also provides upfront retail commissions, a Fast Track Bonus and a Bonus Pool that rewards members who move the largest sales volume. Organo Gold pays out a retail commission on all of their products. This commission is the difference between the wholesale cost of the product and the retail cost. Note that products sold online have a fixed retail price, whereas products sold by distributors in person can be entirely set by the distributor. Everytime one of your downline recruit a new member into Organo Gold with the purchase of a Business Builder Pack, you will earn a $20-$150 Fast Track Bonus. The cost of the Business Builder Pack purchased will determine the Fast Track Bonus commission paid out. When you join Organo Gold, you’ll begin to grow what we call your binary organisation. With you at the top, two legs branch out underneath you to form two teams within your binary organisation. Binary teams are unlimited levels deep meaning there is no cap to the amount of people you can recruit into Organo Gold. There are however weekly commission caps enforced for binary commissions and these range from $500 as a ‘Marketing Associate’ to $75,000 as a ‘Crown Ambassador’. The Organo Gold binary commissions are calculated by calculating the total sales volume of the two teams within your binary. The team with the higher sales volume is called your ‘Power Leg’ and the other your ‘Pay Leg’. Organo Gold pay you out up to 20% commission on the total sales volume of your calculated Pay Leg (note that the Pay Leg is not fixed and is calculated from month to month). At the end of the month, the commisionable volume from your Pay Leg is calculated and paid out on, and this same volume is then deducted from your Power Leg. Any leftover volume on your Power Leg carries over to the next month. Minimum requirements for Binary Commissions are one active distributor in each of your binary teams, each of which are meeting the monthly minimum 50 personal sales volume requirement. Each of your teams also need to be generating a minimum of 300 group volume before you qualify to earn binary commissions on your team. Whereas your binary commissions are paid out on the sales volume of two teams, Organo Gold’s unilevel commissions pay out based on a member’s individual recruiting efforts. For each preferred customer or new distributor an Organo Gold member signs on, the unilevel structure creates a new leg for that lineage. Obviously preferred customers can’t recruit but new distributors certainly can, and Organo Gold pays out a commission following this structure down 9 levels. Along with your own unilevel commissions, Organo Gold also pays out a matching bonus on members you’ve personally sponsored, and up to three generations deep on their downlines. The Organo Gold Generational Leadership Bonus kicks in once a member reaches the ‘Sapphire’ membership level and pays out a commission depending on the number of Sapphire members present in a particular member’s unilevel organisation. A generation is defined within the Generational Leadership Bonus as counting all the members between the first Sapphire member found in your unilevel organisation, and the next. If there is no second Sapphire member found, the generation extends the entire length of that particular unilevel leg. The Organo Gold Global Pool is made up of 3% of the company’s global unilevel commissionable volume and is shared amongst Organo Gold’s ‘Ruby’ members and above. The amount each individual member is paid out on from within these pool is directly calculated based on their personal contribution to the company’s global unilevel sales volume. More sales volume = a larger portion of the Global Bonus Pool. Various components and commissions within the Organo Gold compensation plan are only available to members upon reaching certain membership ranks within the company. Representative – Members must purchase an Organo Gold Business Kit for $49.95. Those wishing to join Organo Gold must purchase an ‘Organo Gold Business Kit’ for $49.95. This kit contains some product samples, a replicated website and backoffice access for a year (after which I believe an annual fee is payable). These packs contain various amounts of Organo Gold products. Compensation plan wise, Organo Gold appears to be sound. You have retail options all the way up to the ‘Sapphire’ level, and even then you’re only ever required to get your downline to the ‘Consultant’ level which requires no direct recruitment. 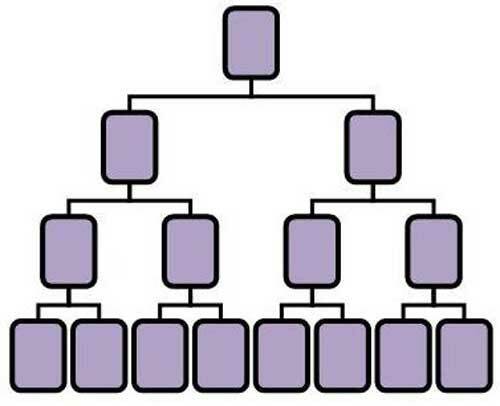 Going beyond Sapphire you do need a sizeable binary organisation, but this is not necessarily going to come from your own recruiting and includes prefered customers you have (it’s based on sales volume, not membership numbers). And even when you do have to recruit, the requirements are still based in sales as you have to get your downline to sell Builder Packs, as opposed to the usual which is they themselves purchasing them as part of your qualification requirements. The unilevel of course plays a part too but again it’s a sales volume quota, not a recruitment requirement (although intrinsically this does equate to a two leg minimum). Products wise we’re talking about mushroom coffee. The market for coffee exists and what it will essentially come down to is whether or not you can edge your way into a well established market with Organo Gold’s product line. As always with coffee based MLM’s your biggest challenge isn’t going to be the compensation plan or marketing Organo Gold, it’s going to be the expense of giving out samples. With coffee taste being such a personal preference in taste that varies from person to person, nobody is going to be buying coffee from you without sampling at least one of the flavours first. Especially when you mention to them Organo Gold’s coffee has mushrooms in it. This expense is going to come out of your hip pocket and whilst over time you’ll no doubt get better at determining when to hand out samples, this is a learning curve that’s going to cost you – so be prepared for it. Other than that, company wise I did get a sense there was a bit too much hype and positive energy going on. I’ve got nothing against positive energy mind you, it’s just that something definitely felt artificial about the energy levels on some of the Organo Gold promotional videos. Kind of like that feeling you get when someone oversells you something claiming to be an independent source, but in actuality is paid by someone. I’m not saying this situation applies to Organo, just that the feeling was the same. But that’s probably more me than a reflection of the company itself. Still, with company management knighting people on stage (seriously, what on Earth is that about? I felt like I was watching a Scientology video or something), perhaps not. All things considered, see how you feel gut wise before jumping in. Pay plan if you make the sales there’s nothing stopping you from succeeding and if you budget for the sample cost Organo Gold might just be the opportunity for you. The problem with this idea is the mushroom, known as “lingzhi” in China, is readily available in any Chinese apothecaries in any Chinatown across the world. The only thing “new” about it is how it’s attached to MLM. Lingzhi in pill form is readily available online and from any decent herbal / health food stores for a decent price. Thus, I suspect Organo Gold stuff is overpriced. No doubt the official line is that Organo Gold’s mushrooms are some unique strain of the purest quality ganoderma sourced from some remote village in China that nobody has ever heard of. Or they’re just overcharging to cover commissions…. :). Or they’re just overcharging to cover commissions…. . Being a member of Organo Gold, it’s likely my view is tinted with bias and their pitch, but basically the gist of it is that the Ganoderma in the products is grown naturally (organically) – this fact is proven by myriad certifications including USDA and GMP, along with certs from various other countries. Naturally grown Ganoderma is allegedly more potent than “plastic bag” grown mushrooms and also has the ability to produce spores, which the other method apparently does not. Whether or not that is true, I can’t be sure, however Organo Gold IS the sole partner of the Xianzhilou Ganoderma Plantation, a $240mil facility, funded in part by the Chinese gov’t. Also related, Organo Gold holds the patent on the method by which the Ganoderma is rendered virtually tasteless (while still retaining its potency), enabling it to be included in any number of products. Besides all of this, they gain credibility through their partnerships with the Napoleon Hill Foundation and the Jamaican gov’t which donated 200 acres of land to Organo Gold for the sole purpose of growing Jamaican Blue Mountain coffee beans to be infused with ganoderma. Considering that Blue Mountain coffee is one of the top exports of Jamaica, it’s unlikely that they’d just hand out acres of their very limited land willy-nilly. Though, if you had any rebuttals to anything I’ve said, I’d be interested to hear them. I’ve read your arguments against other MLMs in the past, and you typically have some pretty sound logic. * What is the potential market for this product, realistically? For ONE person to market to? * How much effort / money does one need to spend to REACH this market? Only then can you truly evaluate how much you can earn. I also have no problems with the clarification. My original comment was meant to be taken tongue in cheek. For me, Napoleon Hill Foundation neither adds credibility nor decreases it. His methods didn’t work very well for him either, in the 20 years or so when he tried to develop a ‘recipe’. The results were always too unstable, and they didn’t become stable before he started to sell the recipe instead of trying to follow it himself. “Think and Grow Rich” was his first stable success, and the few other successes he had before the book followed the same principle – “sell the ideas to others”. Success was more related to his role as an author/editor than to the recipe, but the failures were closely related to the recipe. Napoleon Hill was just an example. Some arguments will miss the target here. We are mostly looking for some other information than what’s used in recruitment, or what’s used to create the right feeling inside a business. You are familiar with this website, and you know we have a critical viewpoint, trying to detect possible problems rather than recommending opportunities. It also has a few other ideas, like “unbiased or balanced”, “factual information before viewpoints”, “analysing business models, not laws”, and a few others. It means most of the arguments used to recruit people or used to create the right feeling inside an organisation will miss the target here. Most of your credibility-arguments missed me as a target, because I’m not looking for ‘social proofs’ when I’m trying to check something. I will usually ignore most of the arguments meant to ‘impress people’, or meant to create a feeling of credibility. Do they? Then you should add the information needed to evaluate HOW they gain credibility? But usually it’s better to drop arguments like these in the first place, here on this website. Information like that will miss the target because we’re NOT looking for opportunities to join – we are analysing information. I analysed the information, and I didn’t find the logic path leading to credibility as a conclusion. The information was too vague to analyse. How come I can’t find out how much Ganoderma is infused into one sachet of coffee. Is it at least 250 mg. per sachet? Is it at least 250 mg. per sachet? It’s 2.5 mg, according to information from an official Organo Gold representative, in a “Channel 5 investigation – Trouble brewing” video, between 2 and 3 minutes into the video. The “Organo University” guys claiming it’s 250mg per sachet, same as one capsule. Oops, I stand corrected. Shane Morand is cofounder of Organo Gold. I was just at a coffee jazz thing, whatever they call it, and agree that there was a lot of hype. Wasn’t crazy about the coffee, but we bought one since it was a friend. More than coffee, they were selling “Bernie” Cool Aid. They didn’t really get a commission so much as Bernie’s benevolence generously gave them some of his money, since he’s such a loving, caring guy. Compensation plan seems reasonable if you can recruit and sell the big packages. More than coffee, they were selling “Bernie” Cool Aid.They didn’t really get a commission so much as Bernie’s benevolence generously gave them some of his money, since he’s such a loving, caring guy.Compensation plan seems reasonable if you can recruit and sell the big packages. I noticed the same thing at an opportunity meeting I stayed for after a meeting with a client of mine (that I spent most of attempting to convince him not to sell his restaurant earning him a $100,000 annual profit for $80,000 to go full time in Organs Gold at least until he had replaced that income with OG) that he hosted out of curiosity. One of the first sales points was the success, integrity and goodwill of Bernie. It struck me as odd how much they revered their company’s CEO who’s been the target of various government agencies for his business practices, but they did portray him as some sort of benevolent leader spreading wealth to the masses out of the good of his heart, not size of his bank account. They did treat Holton Buggs the same way for his financial success, however. He was held up as the top earning MLM distributor industry-wide and how lucky they were to have this man sacrifice his past success to become VP of Sales for Organo Gold. Where Bernie was the benevolent leader, Holton was the model for success to be emulated and admired as the pinnacle for achievement, and having him at Organo Gold apparently showed that it had to be the best & brightest MLM out there. The whole thing definitely bordered on a cult of personality (not saying the company is a cult, only that the way they view and promote their leaders seems somewhat excessive). The only other thing that stood out was the emphasis on earning $100,000 per month, the ultimate goal for this particular group. Most companies seem to make that the annual goal for distributors and to stand up there telling recruits that if they worked the system hard enough they could earn $100,000/mo seemed really excessive and totally unrealistic hype. The naked appeal to greed was uncomfortable, and I’m a financial advisor! That said, I agree with the analysis that the business and compensation plan are solid if you can create a market and keep the focus on retailing, but it’s hugely important to keep sample and autoship expenses under control. The business expenses is OG can pretty easily grow out of control, eating away at any income one earns and opens the distributor to pretty heavy losses especially if their upline encourages large purchases to earn more commissions. Keep costs down, focus on retail sales and you can probably turn a pretty decent profit. Now that Organo Gold has been in business for 5 Years, what is your critical viewpoint of Organo Gold? Unless the compensation plan has changed, the same as it was when I first wrote the review. I do recall there was a bit of a fracas recently over some binary changes or some such. Seemed a few affiliates felt they were being screwed out of commissions going forward. Still going strong as a member here – I’d like to correct an earlier post, the 2.5mg is false as the amount in the coffee. Word from the top is that the coffee contains the exact same amount as one of the ganderma pills per cup, which is to say, 250mg. In response to you, Oz, I’m not sure what you’re referring to. They made the qualifications for rank advancement a little more stringent at the higher end of the ranking scale, but apart from that not much has changed. They have improved the retail side recently by offering rewards programs and other such customer retention focused initiatives in order to lift the customer support burden off of the distributors. Basically, now distributors can get a new customer and keep them stocked without having to continually babysit and follow up with them, instead the company keeps the customer contact alive. Pretty cool change, but I suppose it doesn’t really count as a change in the compensation plan. Who cares how much gano is in the coffee? are you people freakin serious its night and day! Do you want to drink toxic acidic coffee and pay starbucks dunkin and mc d prices or alkalinizing better tasting coffee that doesnt leave a nasty taste in your mouth for only 57 cents a cup! The choice is yours fool! keep drinking your toxic poison all the way to the doctor! General Anubis: offee contains the exact same amount as one of the ganderma pills per cup, which is to say, 250mg. I fixed that a year ago, dude. Dr Dom: Do you want to drink toxic acidic coffee and pay starbucks dunkin and mc d prices or alkalinizing better tasting coffee that doesnt leave a nasty taste in your mouth for only 57 cents a cup! Spoken like a true Organo Gold salesperson whose only knowledge of the bodies’ PH levels comes from their Organo Gold upline. The body tightly regulates its’ blood and extracellular PH levels and you cannot influence blood PH levels by regulating diet. You CAN influence PH levels in your urine with dietary changes, which is an entirely different matter and proof the body does an extremely efficient job of regulating itself. Coffee is not a particularly highly acid food in itself. Black coffee is designated as low acid only registering a PH level of between 4.5 and 6 on the scale, depending on the type, origin and roasting method of the coffee where neutral PH is 7. Lemon juice registers 2 and concentrated sulphuric acid registers 1. The “acid” most associated with coffee by aficionados is an element of receptors on the tongue. Great. You nailed the acid component. What about the toxicity claim? hoss: What about the toxicity claim? * the source of his claims. Honestly, I can’t tell if DrDom is for or against OrganoGold. Hello all, this is the first time i comment on anything related to organo gold or any mlm business. anyway here it goes. It seems the same topics go over and over again everywhere seems people have same doubts i guess. there’s something that somehow bothers me and it is people’s lack of knowledge. What bothers me the most is that everything you need to know to start one of these businesses is really out there you can learn it all with little to no guidance. I’ve seen people trust what some other guy tells them blindly just believing whatever they are being told with no further analysis. (i’m specifically talking about mlm and the ”meetings” that go on). I’m actually for organo gold, not for what they say on coffee jazz meetings but for what it stands. I actually started the business because of the ganoderma that is in it. (i’ll get to this later). Once i started, without going to any coffee jazz or whatever, just me and a friend which was obviously not capable of explaining the compensation plan without bulshiting me. there are certain thing that jump right off, they were and i believe they still are saying that you make money from things you don’t. I don’t want to go too deep on it but it happens all the time and it’s really stupid because all you have to do is get a calculator out and try to see where the money goes and how it splits. you will see very fast if it’s a true business or some guy is trying to bulshit his way on sponsoring you. Another thing is for the product itself, people just don’t want to freaking read anything. 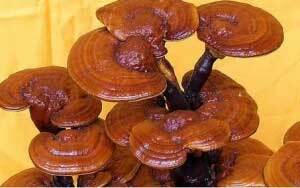 i found questions about ganoderma several times and no one seemed to have a really solid answer just a speech you can detect everyone is repeating. So i went on on my quest for truth. everything about the compensation i learned it from the organo gold university, you have to keep in mind this is a public site if the lie on there they can get in serious trouble. so after i learned the ACTUAL compensation plan it really did check out on the commissions. I had several discussions over people that tried to convince me about the commissions being different than what they actually were. So after all this you can see how it pisses me off when i see people talking down things they don’t even understand. they have research centers that even universities use, they go over there just to research about this thing. So people just be careful out there and read a little bit. Out of curiosity, how many retail customers have you signed up who are purchasing coffee regularly vs. affiliates in your downline? Currently i’m on a pause with this because it was getting in the way with me finishing college, but it was about the same amount of people. People talks about over price an some say how fairly common is Ganoderma but the thing is that quality ganoderma is and has always been of a higher cost than the rest. If you look for top brands like ones in japanese reishi association their price is always high, you have to pay top dollar for their stuff. So it’s no different with Organo Gold’s Xianzhilou Ganoderma, and to go further, Xianzhilou even sales a ganoderma coffee blend and guess what it’s about the same price as organo gold’s, plus you have to ship it from china. I’m not trying to say, with all this, that somebody is wrong and i’m wright or anything like that, these are just my thoughts about this. Organo Gold coffee 30 bags ( Black Gourmet ) price = 34 EUR. High quality Coffee beans ( more than 100 cups ) = 10 EUR. This is the scam. Overpriced coffee for so called health benefit from a mushroom that has never been proven scientifically ! New era MLM is just Ponzi acheme related to a product, so they dont get prosecuted ! Francisco Blanco: So i went on on my quest for truth. So your quest for truth means you studied a website written by the company itself (better than trusting affiliates bullsh**ting you), and looking up some studies regarding ganoderma that had nothing to do with it mixed with coffee or even the dosage. Right? I personally have been able to get 2 regular cups from one bag or 1 12oz to 20oz cup from one bag. Ex OneCoin Ponzi pimps Wes Garner and Lisa Holt have moved on to recruiting people into this, but not before pimping the Ponzi Global Currency Coin in between. What does that say about this company? rats leaving a sinking ship with a new dodgy captain?